“I could not do any of this without God. Honestly, I do not even know how I wake up sometimes and I am able to keep going. But, at the end of the day, I sit down and say, ‘Thank you God because I know my help comes from you.’ So, I always make sure I acknowledge God,” says the remarkable and unstoppable Jazmin Green. 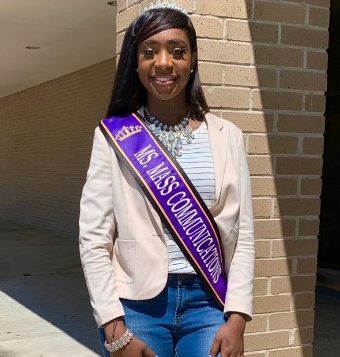 Wining Cheerleader of the Year and the Hustler of the Year Award, Green hits a home run with winning the title of Miss Mass Communications 2019-2020 at Alcorn State University (ASU). “I was born and raised in the River City of Vicksburg, Mississippi,” stated Green. She attended Vicksburg High School and exemplified good academic behavior by forming good study habits and making good grades. She is the oldest of two children having a younger brother named Chris who is 12-years-old. They were raised by their mother, April Green and stepfather, Marian Green. Throughout high school, Green had a permanent spot on the A/B Honor Roll. On top of having a remarkable Grade Point Average (GPA), she stayed active in extracurricular activities and sports. Her Freshman year of high school, Green was introduced to her high school Cheer Team, Softball Team and Show Choir. She also experimented with Soccer. Her Sophomore year, she managed to get accepted onto the Varsity Cheer Team and Softball Team. Her Junior year of high school, Green began discovering new hobbies and her passion to help people. “I am really passionate about helping children find their inner greatness,” stated Green. In 2014, she started joining her mother in teaching children to dance in her mother’s dance studio. “To watch those girls go from coming in shy and quiet to blossoming butterflies, that just does everything in the world for me,” says Green. During her Senior year, Green lettered in Softball and Cheer. 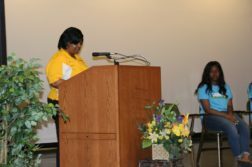 She also accumulated Honor Roll certificates along with graduating with Honors. 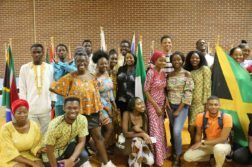 In 2016, Green decided to attend ASU and her first extracurricular activity that she partook in was Cheerleading where she has been a mainstay for three years. 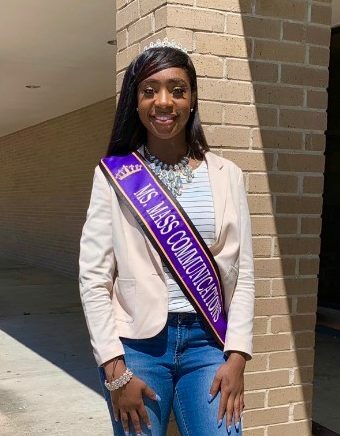 Currently a Junior, she has accumulated many awards in the Mass Communications Department. 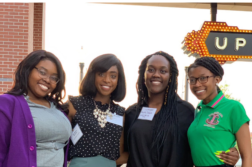 At the recent Media Day 2019 within the Department, Green accepted the awards of Best Duo Radio Show, Campus Chronicle Staff Writer, ASU National Association of Black Journalists (NABJ) Dedicated Service Award and Public Relations Advertising Award. Jade Douglas is a Junior Broadcast/Mass Communications major from Vicksburg, Mississippi. She will be a contributor to The Campus Chronicle during the Spring 2019 semester.